In one of their latest videos, Team Kramer once more inspires with a great idea for family staycation. The video shows the couple and their kids Kendra, Scarlet and Gavin inside a tent right in the middle of their own living room. What made the indoor camping activity look real and more exciting was the breathtaking images and audio from their living room’s LG Ultra High Definition (UHD) TV. Even indoors, the kids were able to immerse themselves in outdoor sceneries with the sheer size of display coupled with amazing picture quality bringing breathtaking natural surroundings inside their living room. The LG UHD TV from home entertainment innovator LG Electronics has real 4K resolution capability four times that of Full HD, giving incredibly vivid images, while its ultra real sound gives the full impact of a multi-channel, forward-facing speaker system. Just like Team Kramer, you can also share your staycation ideas with your loved ones, and get a chance to win prizes. 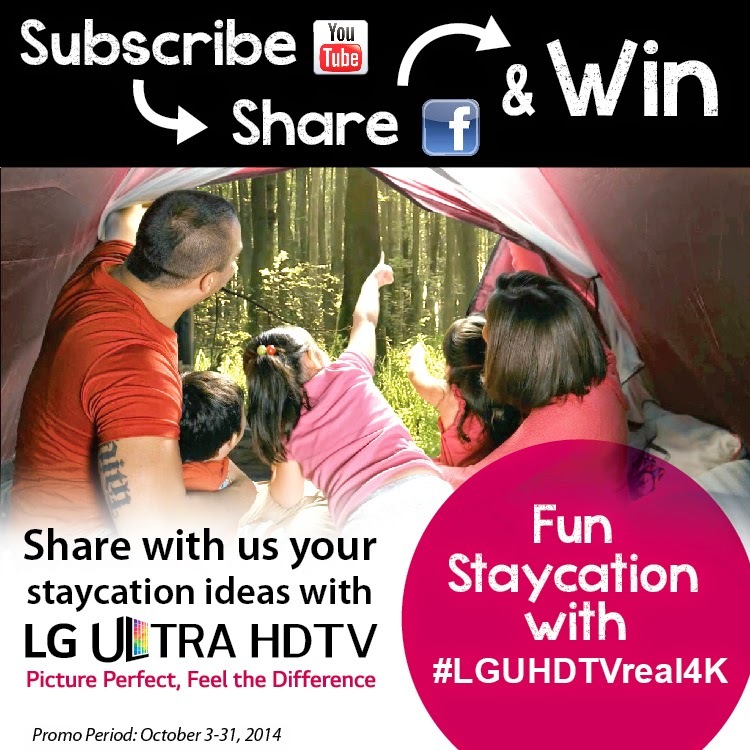 SUBSCRIBE to LG Electronics Philippines’ Official YouTube channel http://www.youtube.com/myLifesGoodPH and SHARE the video bit.ly/lgteamkramer with your answer your Facebook with the hashtag #LGUHDTVreal4K. Three (3) participants with the most creative and fun answer will win LG Pocket Photo mobile printer (SRP Php7,990) with five boxes of Zink photo paper. Open to all Philippine residents, the promo will run from October 3 - 31, 2014 only. For complete mechanics, visit www.lg.com/ph, www.lgblog.com.ph, or www.LGnewsroom.com; like LG’s official Facebook page “LG Philippines”; or follow @LG Philippines on Twitter and Instagram. "Bet Ng Bayan" the newest and freshest reality talent show of GMA will hit our TV screens starting tonight. 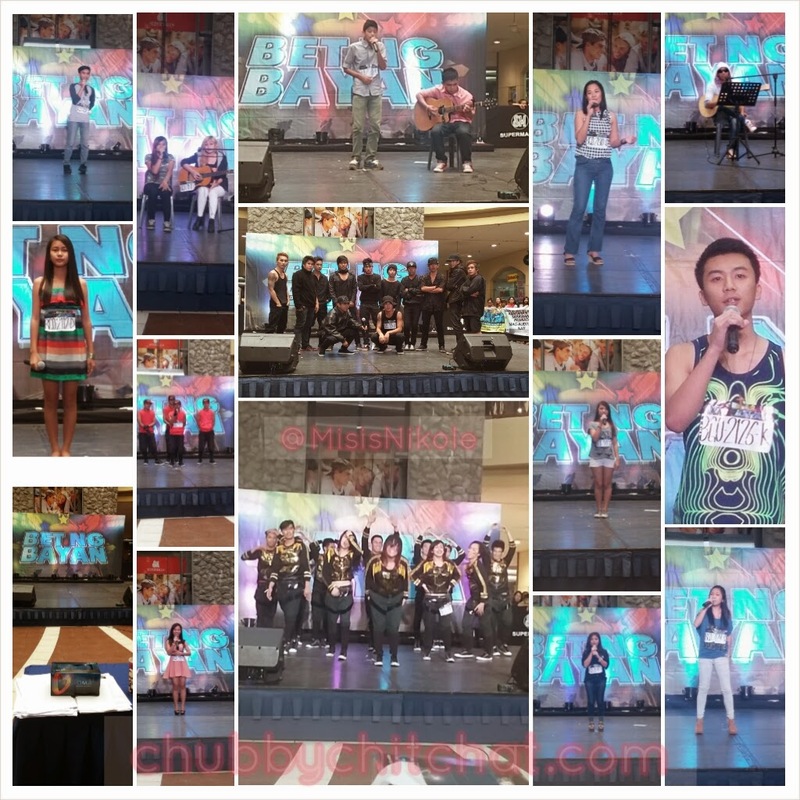 This is exciting since most of us Filipinos love to showcase our talents and are very fond of joining contests. I was given the privilege to actually witness the last leg of auditions here in my hometown, Baguio City. It was very interesting to sit down with Sir Charles, who was in charge of choosing who is in and who is out, his responsibility I think was very hard. I imagined myself being one of the judges, I had a hard time, I believe everyone has their own talent, its just that in this kind of competition it is a battle between the best of the best. Surprisingly, there were a lot of audition registrations on our table, some were from provinces that were a bit far like Nueva Ecija and Nueva Vizcaya, but most of the batch that I witnessed were from nearby provinces like Pangasinan and La Union. But I am of course most proud of Baguio people who came to audition because I think in general people from the Cordilleras are a bit shy to this types of contests. Of course we know that the Philippines had numerous talent shows already and honestly I am also one of those who criticize why most of the time the ones who does "singing" as their talent piece usually ends up as the winner, the "Bet Ng bayan" audition made me realize that a big percentage of the auditionees were mostly singers, we Filipinos love to sing, maybe that's one of the reasons why "singers" usually win, but well that's just me. Speaking of singers, we had an awesome break, a breather from the overwhelming talents that we had, the very beautiful Frencheska Farr was there to give us a treat showcasing her powerful voice and entertaining the crowd. It was my first time to see her perform live and I must say, I became an instant fan. She was also very game when people from the crowd started to ask to have pictures with her, a great talented lady she is. Anyway, back to the auditions, I was able to talk to a few of those whom I thought (as a pretend judge lol!) Could actually get a yes and will move up to the next level. One of the girls has been joining various singing contests, so when she performed I saw and felt her confidence and she did so well, I asked her how she felt during her performance, she said she was not that too nervous because it was like normal for her to audition, but her nervousness is a bit different that time since it was her first try for a national television contest, asked if she think she's in? She said yes, she think and hopes so. Another popular home grown group performed and they took the stage and crowd by storm, (I think they're in shhh lol! ), I was able too talk to one of their members and asked her why this time they joined for a national tv talent show, they said they wanted to represent Baguio and show the whole Philippines and the world that Baguio people are talented too. All in all the experience made me feel exhausted that night but I super enjoyed watching and doing my own judging, also thankful to GMA for accomodating me and Sir Charles with our little chit chat of how things were done. It was indeed a tough job for the people behind these kind of shows, but I think "Bet Ng Bayan" will be a successful one, good luck to all the judges and let's all support our very own provinces and be proud of our Filipino talents. 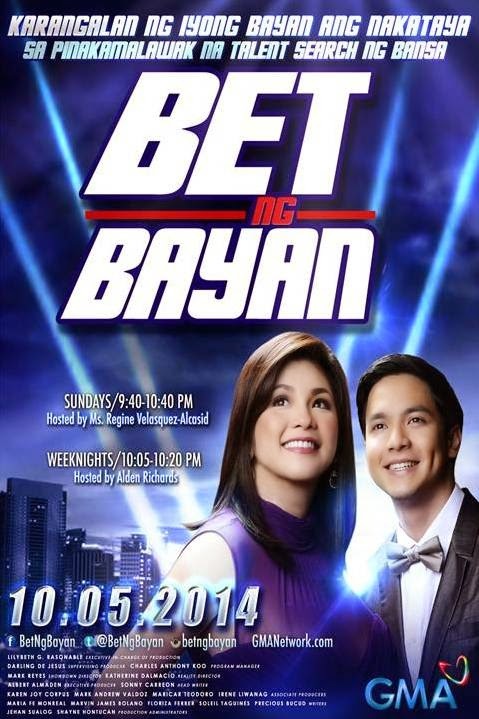 "Bet Ng Bayan" will be hosted by the one and only Asia's Song Bird, Ms. Regine Velasquez-Alcasid every Sunday at 9:40 p.m and will be co-hosted by the very handsome Alden Richards, during weeknights at 10:05 p.m. Bet Ng Bayan | GMA's Newest Reality Talent Show Starts Tonight!